New Delhi: On the 8 February 2010 was 113th birth anniversary of Late Dr. Zakir Husain, former President of India and former Chancellor and Vice-Chancellor of Jamia Millia Islamia. Union Minority Affairs Minister Salman Khursheed and Jamia Millia Vice-Chancellor Najeeb Jung offered floral tribute to the leader and read Fatiha. Khursheed was at the mausoleum inside the university premises since morning with his family members for Fatiha. Dr Hussain was his maternal grand-father. 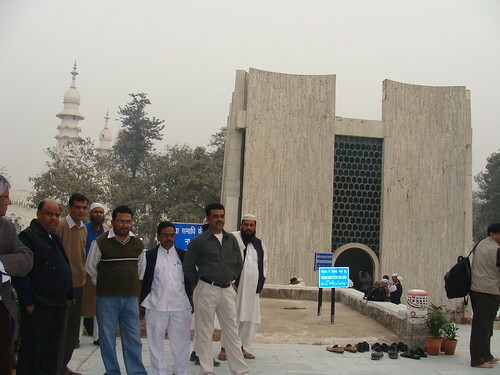 Apart from dignitaries from various educational institutions, locals, students of schools and madrasas also visited the mausoleum having the graves of Dr Zakir Hussain and his wife Shahjahan Begum. They read from t. e Quran for the departed soul.